Looking for upgrades in my Puerto Rican players autograph collection and Clemente GU cards. Will check buckets or just list for me what you have. More stuff in my buckets. Thanks. Last edited by criollos; 04-20-2019 at 06:47 PM. I can use the Bernie Williams and the Orlando Cepeda. Don't have anything new in my bucket (but you look, of course) but do have thes unscanned cards for trade(scanner down. Happy 2016 to you and your family! I have been looking through your bucket but can't find anything to trade for the Bernie. 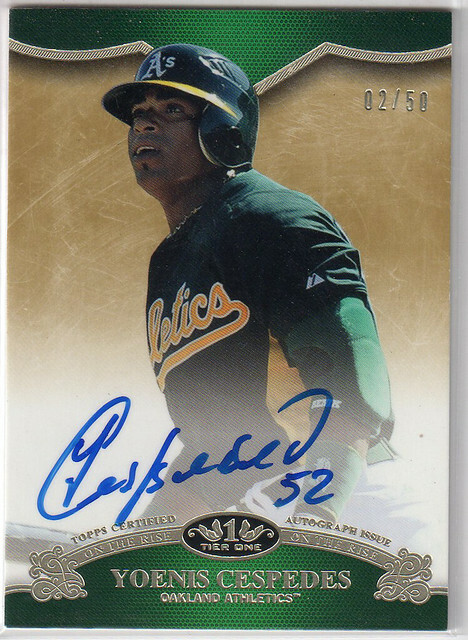 I would trade you the Cepeda you see here or any of the other Cepeda autos I have in my bucket for the Edgar Martinez Topps Tek. Please let me know. Thank you. Posted it for us John. Thank you for another trade. I do not collect Ichiro anymore. I have a handful of Puerto Rico born player GUs. Any interest in any of them? Thank you for the list, but not looking for GU cards unless they are from Roberto Clemente, or maybe low #'ed ones (#'ed/25 or less) of other PR players. I'm sorry.